A popular speaker on desktop publishing issues, John Giles has been presenting seminars on desktop publishing issues for quick printers at trade shows and conferences throughout North America. He has also been a featured speaker at the British Association of Print and Copyshops in London, Print Ontario in Canada, and the Pacific Printing Conference in Australia. Whether it is a 60-minute program or an all-day seminar, Giles can keep the audience entertained and informed about practical techniques in desktop publishing that seminar participants can put into action immediately. The only reason to have a desktop publishing department is to make money, but few quick printers do. Giles offers practical tips and tricks that any quick printer can implement that will increase sales and make operations easier. Handling Digital Files Successfully is for the quick printer employee who sells digital services to the customer. Giles takes the mystery out of working with customer computer files and gives understandable advice for establishing standards to deal with any digital situation. 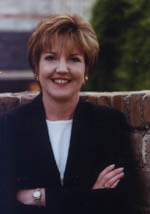 Debra Thompson is president of TG & Associates, an international consulting and training firm based in Tucson, Arizona. Thompson is the author of The Forgotten Customer - Discover All the Relationships in Your Business Life. She also works with quick printers in employee selection and team-building as well as a consultant who can identify problems and gain the knowledge they need to offer solutions within a quick printing company. Giles has teamed with Debra Thompson of TG & Associates to develop a day-long seminar that not only attacks the opportunities of digital technology, but helps build a complete team within the quick printing company. Giles blends his techno-knowledge with Thompson's ability to "bring people and systems together for profit" into an energetic day of fun and learning. In the end, the participants gain the knowledge to move to the next level of professionalism within the quick printing industry. Thompson can be reached at (520) 751-8922 or by e-mailing debra@tgassociates.com.